Jonathan's book was published in 2008 in premium hardcover. 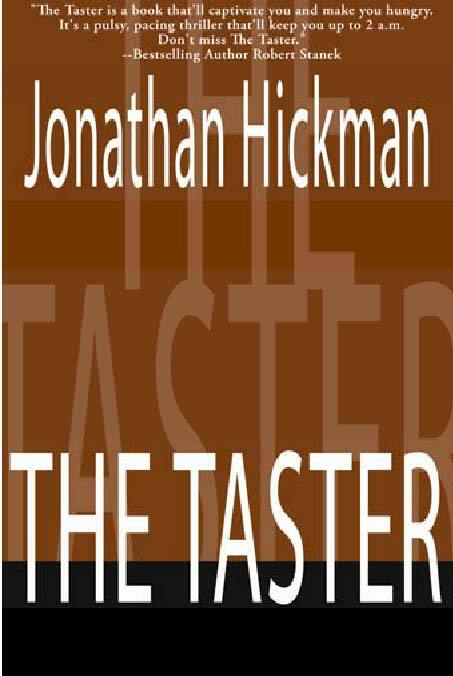 In 2009, The Taster was released in trade paperback and audio. Available now from Reagent Press and RP Audio! "So intelligent and gripping you'll want to devour it one sitting... What sets Hickman above the crowd is an entertaining plot and wit." After attending law school at the University of Memphis, Jonathan returned home to Newnan, Georgia, where he practiced law privately for eight years. 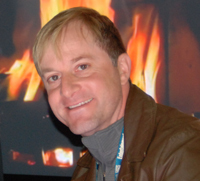 In 1998, he joined the movie and entertainment related web magazine Entertainment Insiders (on the web at www.einsiders.com) later becoming the company President and Editor. While teaching business law for 3 years at a local University, he constantly encouraged his students to read and often used classic works of literature in classroom examples. He now serves as the Public Defender for the State Court of Coweta County. Jonathan lives in Georgia with his wife and daughter. While Jonathan was writing THE TASTER, his daughter would rather chew on “Tarzan” than listen to her father read it to her. Timothy Blanchard, the super-sized, super-talented, food security specialist for the FBI, is back in this exciting sequel to Jonathan Hickman's The Taster. In a world of corruption and wickedness, a world where your next meal may be your last, only Timothy can taste the difference between what you can eat and what will kill you. The book starts with a meal and a murder. A whirlwind of meals and murders follow. It’s enough to make you ravenously hungry and keep you furiously turning pages. 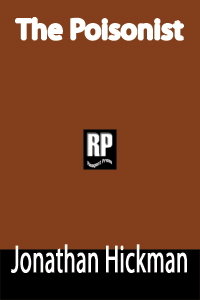 (c) 2007-2008 RP Books. All Rights Reserved.